The Food Alphabet and More: The Burger King Xtra Long Chicken Burger Giveaway Day this May 6!!! Free Xtra long Chicken Burgers for everyone! 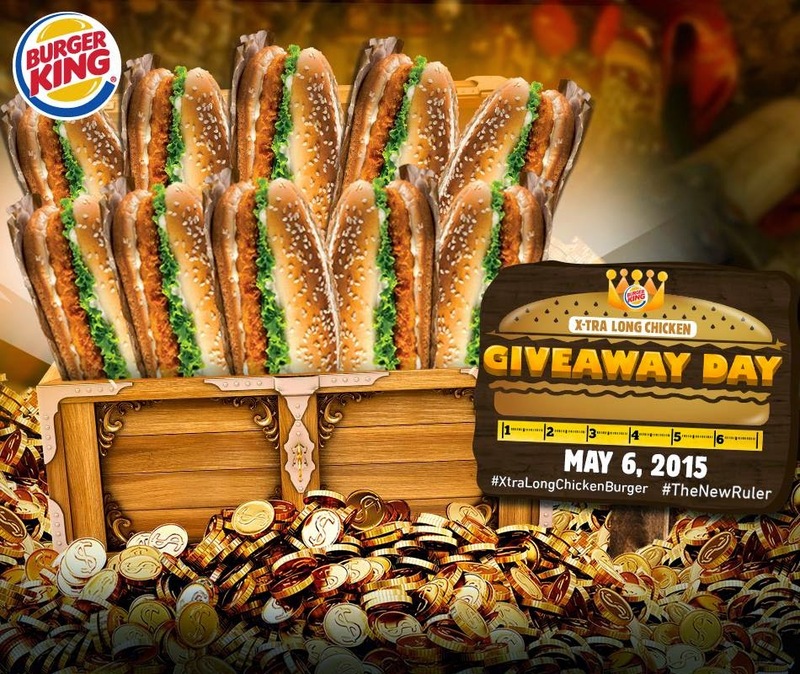 The Burger King Xtra Long Chicken Burger Giveaway Day this May 6!!! Free Xtra long Chicken Burgers for everyone! Free Burger King Chicken Burgers!!! #TheNewRuler of chicken burgers is here!! Burger King's Xtra Long Chicken burgers has arrived. Now, you’re in for a treat! Get ready because starting at 2pm on May 6, 2015, Burger King is giving away FREE X-tra Long Chicken Burgers to the first 162 customers in 6 of our branches! SHARE this great news and prepare to have an X-tra Tasty, X-tra Filling feast!